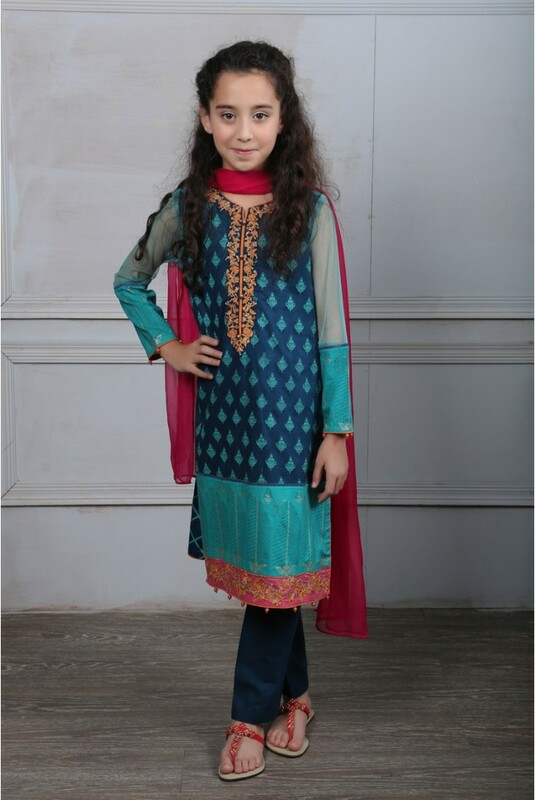 Maria B, a popular brand of Pakistan fashion industry always Designs something different and unique for women, young girls and Kids, as well. Many Designers are nowadays designing and presenting the Kids collections, but Maria B’s M Kids is still on the top. 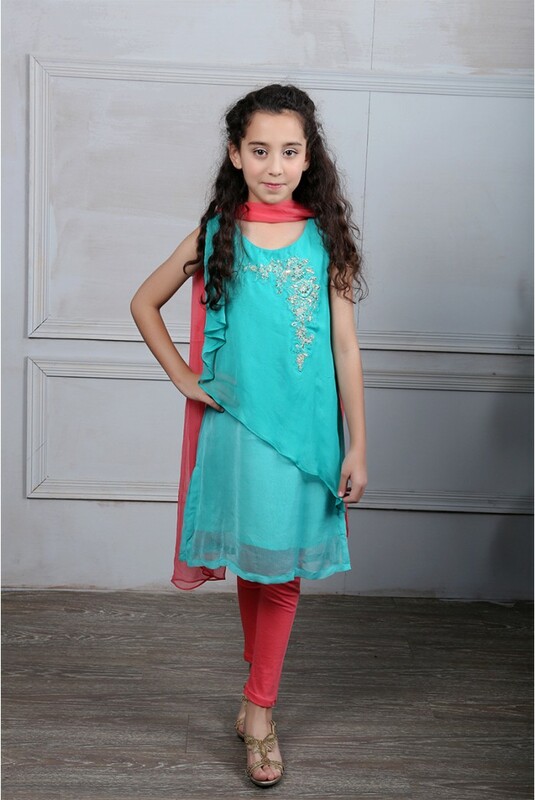 It includes latest styles of kids dresses like fish tale gowns, capes, tops, shirts, capris, etc. 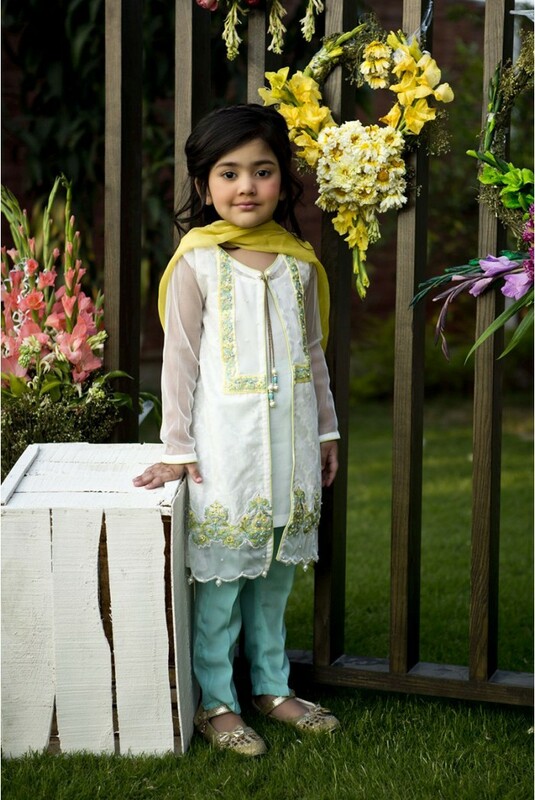 Every mother wants to dress up her Kid- Child with fine clothes and wants to Make her/him adorable to look. This post will help you in this matter; here you will see the latest designs with delicate prints and patterns in a beautiful color scheme. Recently Maria B has showcased her Kids Collection 2017 which is loaded with the modern layouts for spring summer season. 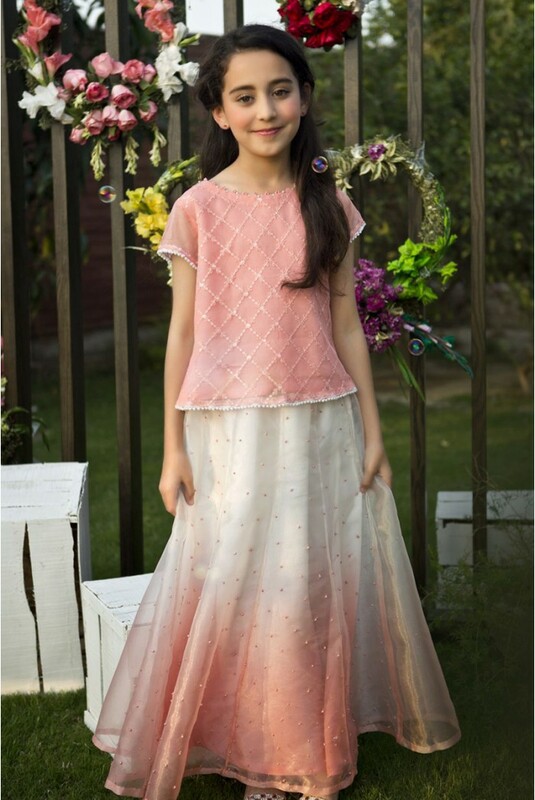 Here we are sharing the Maria B Fancy Kids Dresses Designs 2018-19 Collection for Little Girls. The Dresses are designed with a blend of eastern and western touch. 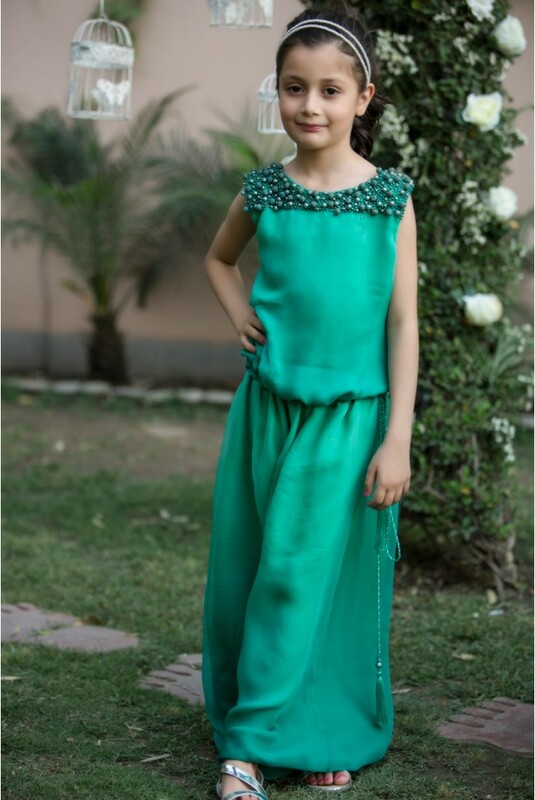 You can pick these dresses for your young girls for adding more glamor and style.The dresses are available in colors like green, red, pink, peach, black, indigo, orange, beige, yellow, orange, brown, navy blue and brown. These cozy and bright color dresses are perfect for young school going girls for formal wear at different functions and events. 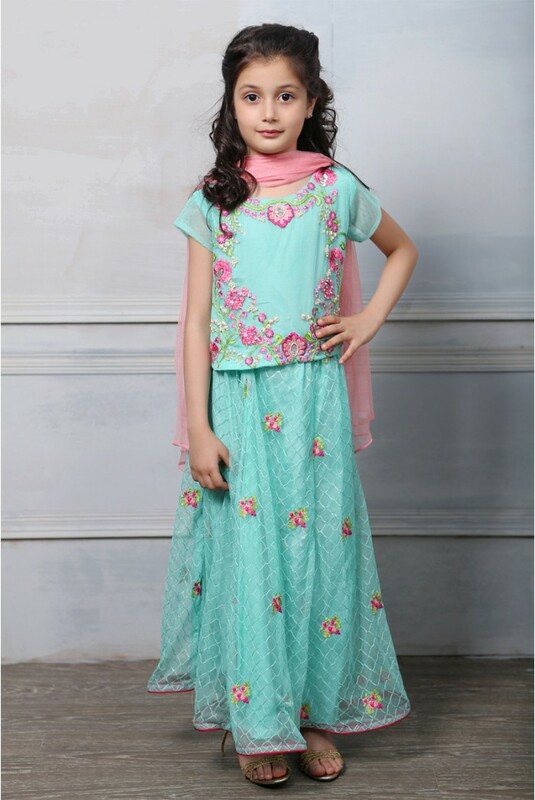 These Eastern & Asian Pakistani Kids wear dresses for Girls includes outfits for casual and formal wear for this spring summer season, you may choose these dresses for coming to Eid. 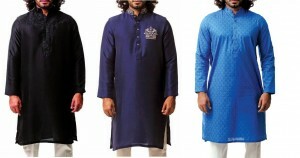 This assortment includes different styles of Shalwar Kameez; Kurti Kurta designs with churidar pajama, palazzo with shirts and tops, long shirts, frocks with churidar, angarkha frock and long gown and tail maxi style evening wear dresses. All these outfits for party wear are wonderfully featured with well light embroidery work at neckline and front. They are more adorned with handwork embroidery, machine embroidery, Zari work, motif work, gotta and banarsi patch at the bottom. 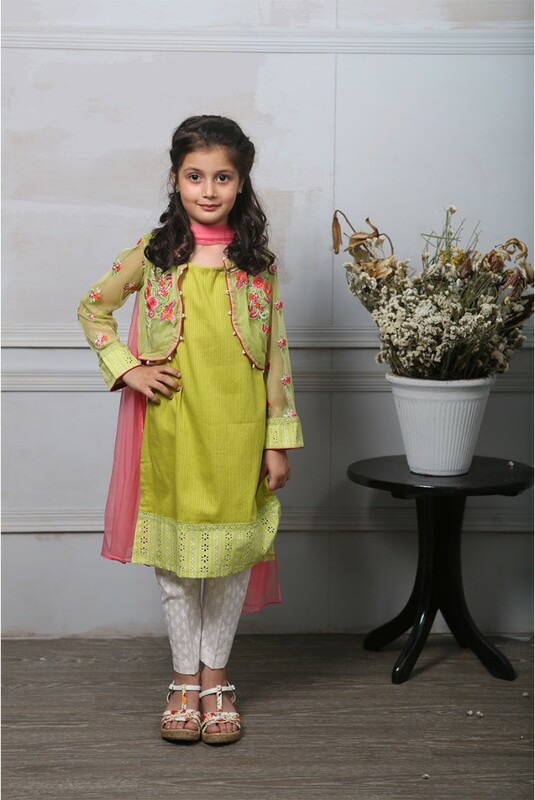 Some of its tops and Kurti in this collection is suitable for every type of season; you may wear it in autumn and winter season also with some upper and coats.Maria B Kids Collection for Young Girls is now launched. Grab your choice through the nearest outlet to your city. You can also buy these fancy and casual clothes online through the official site of Maria B. 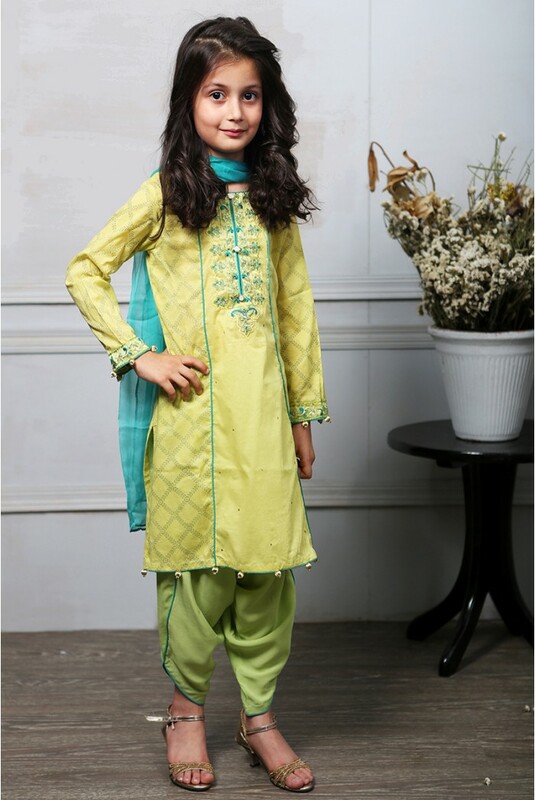 This will be ideal for the formal wardrobe of your little angel. Have a look at these featured images posted below. Hope you will be inspired by the photo gallery. For more fashion stuff keep visiting our site and get updated on the latest fashion and style trends! Have a look at Maria B Fancy Kids Dresses Designs posted below.